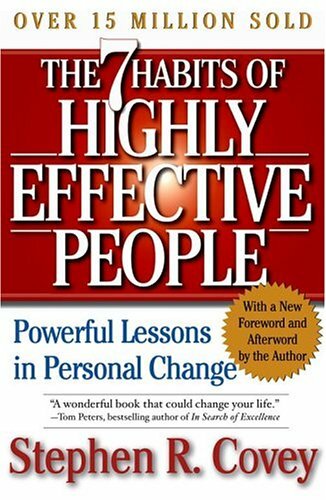 I recently dusted off my copy of “The Seven Habits of Highly Effective People” by Stephen R. Covey and was refreshed again by the book’s tried and true principles. In the new world of social networking with 24/7 Internet and mobile feeds screaming “look at me,” “hear me,” “pay attention to me” − scattered with fake testimonials and other dubious schemes meant to manipulate Internet rankings, it can be difficult to believe that doing anything “old school” can reap results. Forgive me for what may come off as preaching, but I, like Covey believe there are timeless truths that when properly applied to all facets of life will yield lasting results that don’t fade with the latest and greatest fad. I believe building fruitful relationships with media, bloggers, partners and customers is a process that inevitably takes an investment of time and effort to produce real and effective results. Ultimately it is Covey’s principle of “Character Ethic” rather than “Personality Ethic” that will help companies achieve superior long-term results in their marketing efforts. Build a Genuine List of Social Networking Followers/Fans: As much we’d all like to automate social networking – and there are great tools that help this process – beware of programs that build your follower/fan base on autopilot. It’s really not about the number of followers, but rather their relevancy to your business and loyalty that counts. Taking shortcuts may seem to increase popularity more quickly, but thoughtful and personal communications build genuine relationships over time. TIP: When someone becomes a fan or follower, don’t send a self-serving automated message − take the time to send a personalized “thank you” note. This is the opportunity to make a first impression that is meaningful and demonstrates your genuine interest in the person/company that is following you. Toot Someone Else’s Horn: If possible, it seems the self-importance of individuals and companies has become even more inflated with the advent of social networking. If you want to take a fresh approach, drop the “it’s all about me” approach and become the advocate of your industry peers and customers. Use air time to promote their achievements and accomplishments in addition to your own. In Charlotte’s Web, it was the “humble” pig that amazed everyone, won the blue ribbon, and saved his own life in the end. Take the time to be genuinely concerned about your contacts and their specific interests and they will become faithful followers in the end. Adopt a “Win-Win” Approach to Customer/Partner Relations: In my previous blog “Tried and True Strategies for a Prosperous 2010”, I noted that many companies fail to engage their customers and partners because they do not present a compelling value proposition. Self-centered requests often fail while successful programs are based on answering the customer’s question of “What’s in it for me?” Recently Google changed their search engine ranking criteria and added customer feedback as a key component of how companies are ranked. As you can imagine, this has spawned a variety of schemes that help companies improve their online reputation with fake customer ratings and phony feedback. Despite the allure of such shortcuts, the best strategies require you to build customer loyalty with good products and excellent customer service throughout the sales cycle. Honest Communications, always: Many companies have learned the hard way, but it’s always better to be honest about mistakes than to cover or lie. And with online communities, chat boards, Twitter, citizen journalists, and the likes, it’s only a matter of time before truth gets out. People and customers are much more forgiving of companies that are willing to air any dirty laundry before they find out themselves – everyone makes mistakes, so own up to them quickly. A reputation of integrity and honesty will stand the test of time and companies that build their brand around such principles will be rewarded in the long run. So may we all find the time during the holiday hustle and bustle to reflect on what “Character Ethic” principles we can apply that will help shape our businesses and lives to make 2011 the best year yet. Quality not quantity. We’re all familiar with the principle and know it’s a proven discipline in so many aspects of life. So why should this be any different in the new world of social marketing and PR 2.0. Well it’s not. Let’s face it, as good as it may feel having a lot of people “follow” or “like” you and/or your company, what’s the point of having 1,000 followers if only a handful are meaningful contacts? Numbers for the sake of numbers won’t really yield the results you’re looking for long term. It’s much more important to focus your time and attention on those who are seen as opinion leaders and influencers based on their knowledge, expertise, experience or notoriety. A good recipe for “influencing the influencers” is to identify the most relevant people and develop an ongoing dialogue based on quality relations, innovative content and company credibility. Target, target, target – Target a group of people who can offer the most bang for the buck rather than using a shot-gun approach of going after everyone that could be interested in your product or service. Do your homework to see which influencers are most relevant to your company and then build a strategy for maintaining consistent, meaningful dialogue with them. Relationship building – media, blogger and analyst relations is just that. Relations. And we all know in human relations, people care when you care about them. When you’re targeting key influencers, it’s crucial to know as much as possible about your targets – their personal and professional backgrounds, online activities (Web site, social media), interests, likes, dislikes, etc. Then engage in meaningful and genuine dialogue through appropriate channels (including social media) – as well as be sure to craft your communications in light of their interests. You’ll be amazed at the response. Tell your story through the mouth of customers – as much as your relationship with influencers is important, they’d still rather hear your story through the mouth of a customer. Without doubt customer testimonials can greatly enhance the credibility of your company and result in increased sales and media coverage. When customers talk favorably of your product or service, they send a free, believable and targeted marketing message. Customer endorsements can be used in a variety of marketing mediums: media/analyst outreach, collateral, thought leadership events, social media and/or inclusion on the website. For more tips on leveraging customer testimonials, see reference Tried and True PR Strategies for a Prosperous 2010. Innovative programs: With the amount of online chatter and competition for the attention of key influencers, you can’t afford to be boring or depend on “me too” programs. Thinking outside the box is absolutely essential and key to getting these influencers on board with your company. Look for resources that can execute marketing/PR campaigns that go beyond the “cookie cutter” approach to deliver fresh ideas and tactics that will get people to listen and make conversations happen. It may be 2010, but the simple fact is not much has really changed in terms getting the attention of influential media/bloggers. You need to know who you are targeting and build the relationship based on genuine interest and by providing these influencers with a good story/content that will help them succeed at their job. As I reported back in August, “Traditional PR is Not Dead”, by any means, but the influence of bloggers is certainly gaining ground and should not be ignored as you develop your 2010 public relations strategy. According to a blog post entitled, “Statistics Show Social Media is Bigger Than you Think” by Erik Qualman there are over 200,000,000 blogs and a reported 34% of bloggers post opinions about products and brands. With over 1.5 million new blog posts every day and 77% of active Internet users reading blogs, coverage in the blogosphere can greatly increase your potential brand exposure and drive interest from target audiences. Another upside is the fact that today’s journalists increasingly rely upon blogs and microblogs to find story ideas and conduct research. According to a new survey from Middleberg Communications and the Society for New Communications Research (SNCR), 66 percent of journalists use blogs and 48 percent use Twitter and other microblogging sites to assist them with reporting. These findings shouldn’t surprise any of us considering the growing lists of journalists using Twitter and other social networks. To engage this new audience of influencers, you will first need to find the bloggers that cover your space. Free tools like blog search engine Technorati or Google can help you build and research your list. As a starting point, I would recommend that you identify no more than 20 targets. Next subscribe to the RSS feeds and get in the habit of reading the posts and comments daily. This will help you monitor target blogs for topics that merit commentary or present possible opportunities to engage — but don’t jump in just yet. Blogger relations require different tactics than traditional PR because most bloggers don’t get paid to cover a specific beat. Technorati’s 2009 State for the Blogosphere report claims over 70% of bloggers are hobbyists and self-expression and sharing expertise are the primary motivations for these bloggers. According to our social media maven, Susan Getgood, the success of your blogger relations program depends upon how well you translate PR and marketing messages into stories that will resonate with your target bloggers on some personal level. Unlike the news media, bloggers don’t necessarily require the story to be new. Relevant is often more important, although this space will have a tendency toward wanting the latest news. First and foremost, make sure that you understand your target blogger’s motivation for blogging and personal interests before you attempt to post a comment or pitch a story. With all the noise in the blogosphere, you must provide real value in order to be worth a post or better yet a longer-term relationship. Finally, make a commitment to be in this for the long haul because blogger relations are very personal and an ongoing program is more effective than a campaign approach.